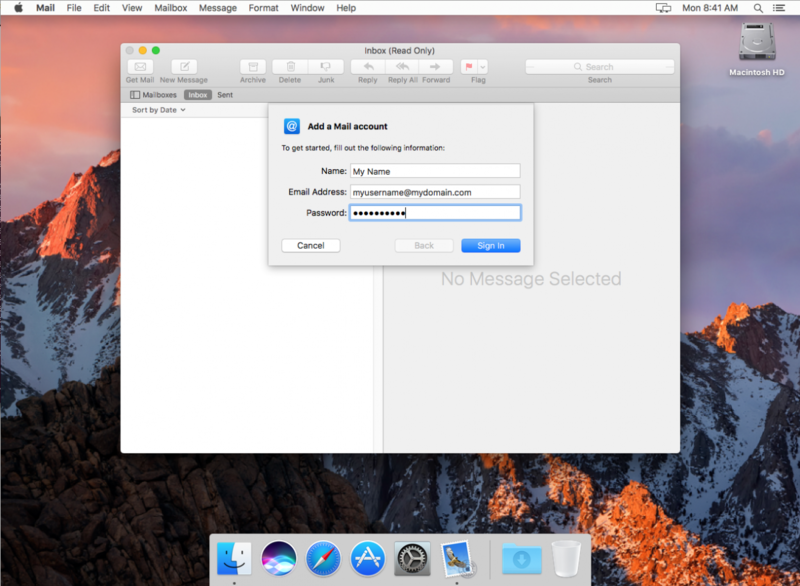 While it's still not nearly as easy as the auto-configuration of Thunderbird and other email clients, the process to set up email in macOS Sierra has been greatly streamlined in this version. 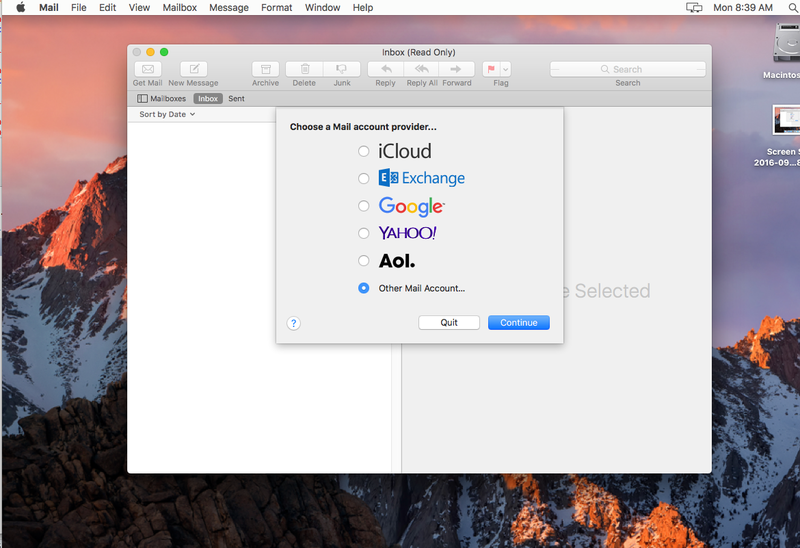 Open Apple Mail and if you're not prompted to add an email client pull down Mail->Accounts from the top menu and press the + button for an Email Account. Email address: Should be auto-populated from the previous prompt. 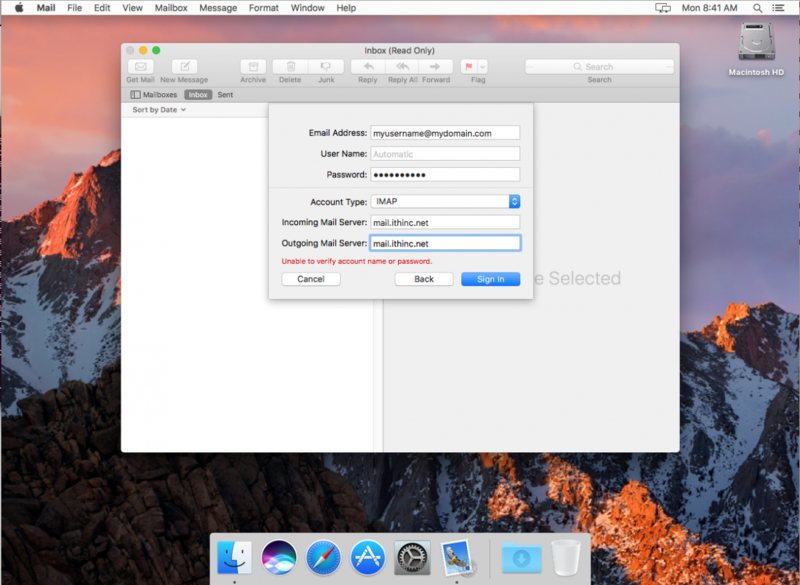 User Name: Copy and paste your email address to this field. Press the Sign In button at the bottom right and everything should be configured properly. Services will be right back - host is rebooting for a security update. Web Server migration for a near (April) End of Life server is in progress this morning. Some websites are being moved to a new virtual server and may be unavailable during the transition. No email services will be affected. If you notice that your site is still down by noon CST today, don't hesitate to contact us. The server upgrade is not only contains security updates, but also function updates which may affect your sites. I'll be checking each one cursorily, but a deep check (logging into your admin, etc) is impossible. VM Host Server upgrade is complete. Downtime was less than 10 minutes, much of which was disk checks on reboot. All systems go. Copyright ©2019, iThinc, All rights Reserved.